There's going to be a big surprise, and we're going to play the Giants? OK, I can't stand the suspense. Just leak it already!!!! 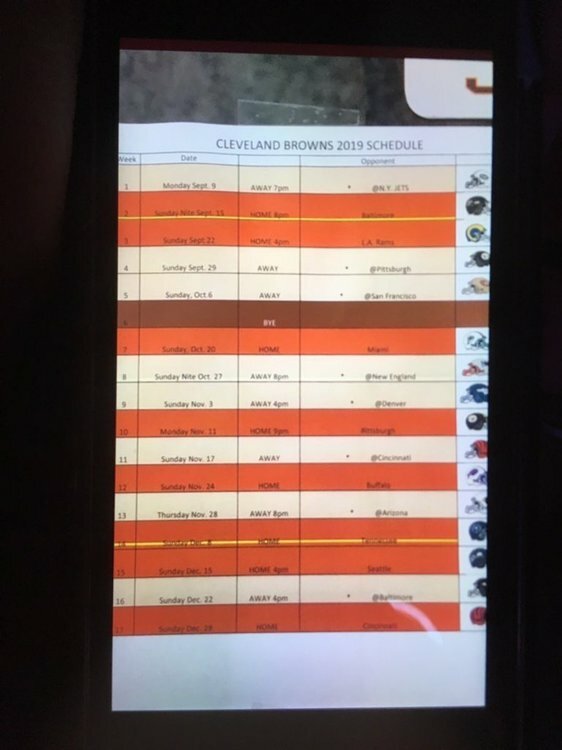 PS I totally don't agree with the NFLN crew that the Browns only will get 3 prime time games, and I even more disagree who the the games we do get, opponent- wise. They say Ravens, Patriots, and LOL- Seahawks? I'll buy the Patriots. Take OBJ's wink, wink, hint, hint the Jets. Steelers instead of the Ravens. Rams outside possibility. And this will be the 50th anniversary(ish) of that broadcast... not the exact date, but 1970 to 2019 is 50 seasons. That said is just having the game in the Meadowlands to bring out the devil in OBJ??? If you have seen the schedule then why have you not listed the entire thing on here?........Hello! If the players have seen the schedule why can’t everybody else. Well, since you put it that way... The teams are the ones who make the travel plans though. The players basically just need to show up at the airport. But if it's the Jets as the MNF opener, there goes one potential road trip I won't be making. Ah, the schedule should be out with much fanfare by next week at the latest. Well I imagine that when the players do that the teams would as well. If it is in fact the Jets on Monday Night to open the season, We are taking our entire tailgate on the road and setting up in the L7 lot in the Meadowlands. Anyone here that is going is welcome to join us. Well Thanksgiving Thursday night would probably kill any potential Arizona trip. But why would the league want the first pick in the draft team showcased in the El Primo Thursday night game of the season? Not really keen about driving to NY for a potential season opener either. I snagged this from McNeil’s Twitter account (the guy that orchestrated the 0-16 parade). Some of this stuff may be accurate, but I'll just wait to see the official schedule & times. Until then, it's just rumor. Yep one week later could’ve been perfect for Arizona. Five prime times games... from famine to feast. Don't like the early BYE. But why would the league want the first pick in the draft team showcased in the El Primo Thursday night game of the season? One name... two words... four syllables... Kyler Murray. Hard to read a couple of those Sunday start times, but there might be at least one for the National TV Sunday night game as well as the Th and two Monday Night Football games. If this is accurate, this is really good for us. Especially the 2nd half of the season. Cinci twice, Buffalo, Baltimore. And WTF is @Denver again.. I like the Jets Opening, gives us a good chance to get started on the right foot. San Fran and Miami are definitely winnable. And of course twice for Pittsburgh.. I like the schedule if it turns out correct and it seems plausible.. Easier schedule in my opinion than last year and technically we should be a much better team going into this season.. They - don't - know - that - YET. Cards already tell the schedule guys that's who they're drafting? 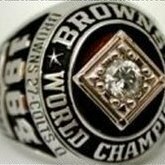 & If they want to give Baker that Thursday night game, I can think of better options. If that's how it turns out, it is what it is.